Who doesn't love cheese? ~ Learn, Live, and Explore! I never knew making homemade cheese was so easy! I took a class at the local Sur La Table, and we were able to make 4 cheeses and 1 butter in 2 hours - mozzarella, ricotta, chèvre, yogurt cheese (or greek style yogurt), and fresh butter. The butter surprised me the most because it literally was just heavy cream and some cold water. I think this is actually doable at home! I want to make some lasagna and caprese salad right now. 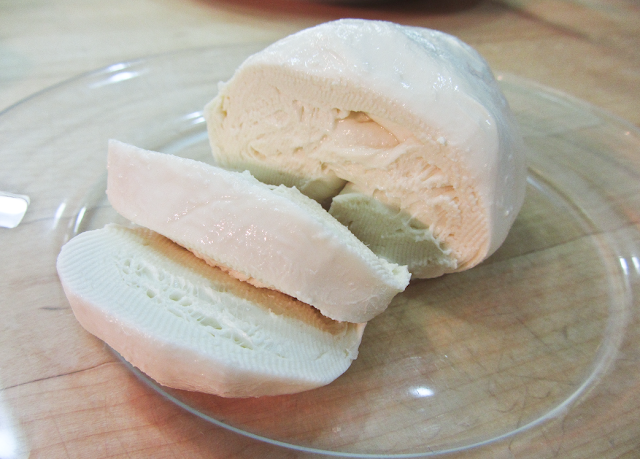 Here are the recipes and some photos for the ricotta and mozzarella. 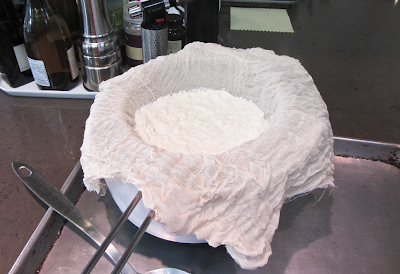 A colander or fine sieve with 2-3 layers of cheesecloth, 12-14" square, set over a large bowl. Buy fine cheesecloth, or use more than 3 layers if using the kind you buy at the grocery store. 1. 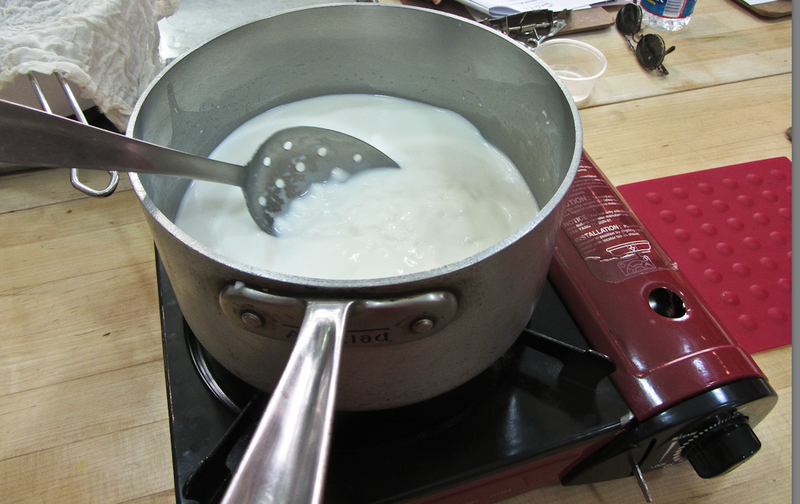 Place milk in a large, heavy saucepan and set over medium-high heat. Cook, stirring constantly, until the milk comes to a frothing boil. 2. Turn off the heat and, as the bubbling subsides, slowly stir in the vinegar or lemon juice (we used the vinegar). 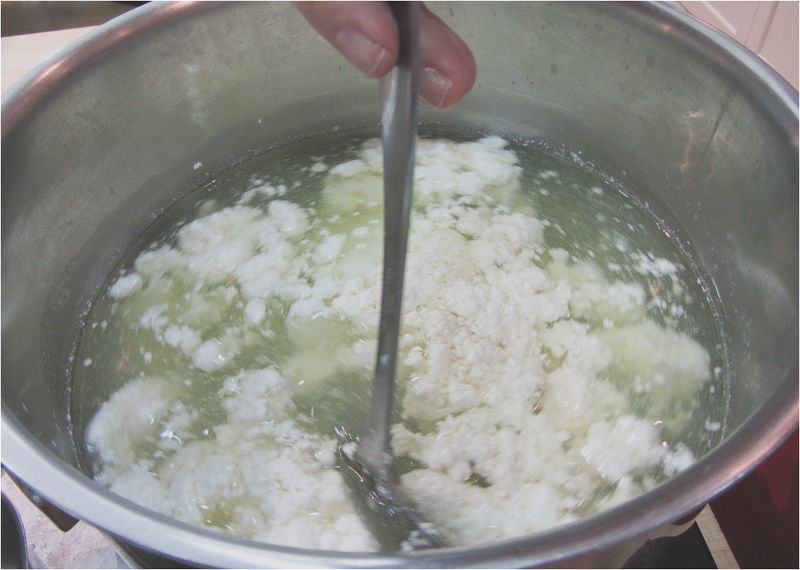 Continue gently stirring, in one direction, until the curds (white cheese part) and whey (liquid) begin to separate. The mixture at this point will resemble thickened buttermilk. 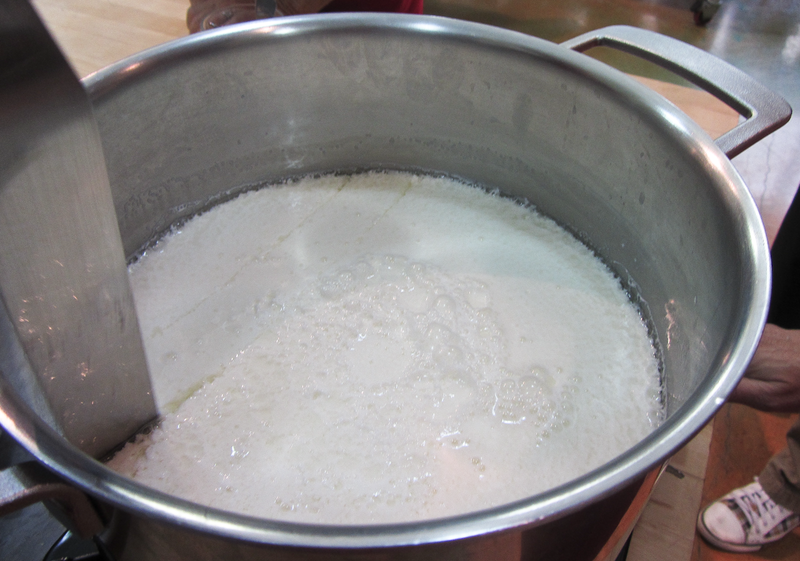 The whey will still look milky and the curds will be very soft. Remove from stove and let sit, covered and undisturbed, for 5 minutes. 3. Carefully pour the curds and whey through the cheesecloth. The whey will drain into the bowl. You can save this for another use or discard. Leave the curds in the strainer to drain for about 15-30 minutes, depending on the desired consistency. At this point, gently mix in the salt, if desired. Use immediately or transfer to a sealed container and store in the refrigerator for up to 5 days. 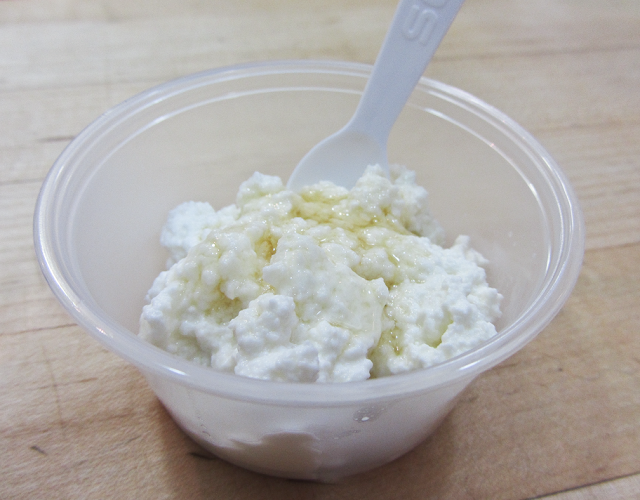 For the class, we drizzled honey on top of the fresh ricotta, and it was just heavenly! 1. In a small bowl or measuring cup, mix liquid rennet into 1/4 cup cool water and set aside. In another small bowl or measuring cup, mix citric acid into 1/2 cup cool water, stirring well to dissolve the citric acid and set aside. 2. Place milk into heavy pot. Slowly pour in the citric acid solution, and stir vigorously to mix well with the milk. Place the pot over high heat and continue to stir while heating the milk to 90 degrees. When the milk reaches 90 degrees, remove the pot from the burner and slowly add in the rennet solution in one direction for 30 seconds. Cover the pot and leave it undisturbed for 5 minutes. 3. 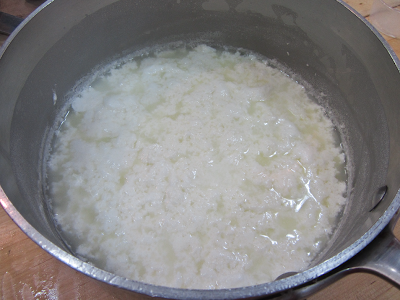 After 5 minutes, check the curd - which should look like custard, with a clear separation between the curd and the whey around the edges of the pot. To do this, take the back of your spoon and very gently press down on the curd at the edge of the pot. If the curd is too soft or the whey is milky, let it sit for a few more minutes. If your milk did not form a curd, you may have to reevaluate your milk source. 4. With a knife that is long enough to reach the bottom of your pot, cut the curd into 1/2-3/4 inch squares, creating a checkerboard pattern. 5. 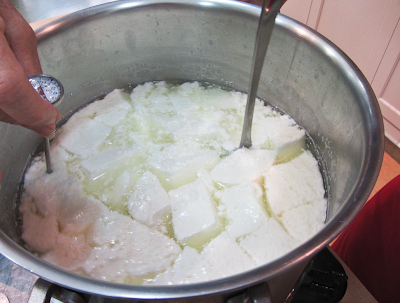 Place the pot back on the heat and bring the mixture up toe 110 degrees while slowly and gently moving the curds in one direction with your spoon. When it reaches the desired temperature, remove from heat and continue slowly stirring for 2-5 minutes. A longer stirring time produces a firmer cheese. 6. 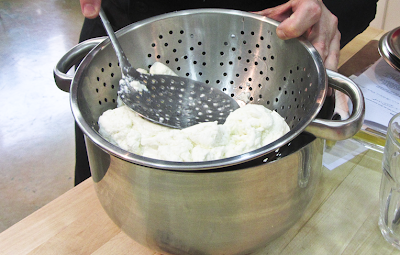 Ladle the curds into a colander or strainer. Push the cheese to release the liquid whey as much as possible. At this point, you may place the curds in a plastic bag and store in the refrigerator for 2-3 days before stretching them into mozzarella. 7. When ready to stretch, heat a pot of water to 175 degrees. Once it has reached the temperature, place part or all of your curds into a clean bowl and ladle hot water on top, covering the cheese. Let sit for 3-8 seconds. Using your hands, covered in rubber gloves (or 1-2 latex gloves), fold and knead the curd until it starts to become smooth and elastic, and begins to stretch. You may need to place it back into the water to soften it up if it is not stretching like taffy because the curd must be at least 135 degrees to stretch properly. Try not to work it too much, or your cheese will be firmer and run the risk of becoming rubbery. Also consider adding salt at this point to taste or wait and use a salted cold water bath later. 8. Shape the mozzarella into one or more balls and place in (salted) ice water bath to cool. 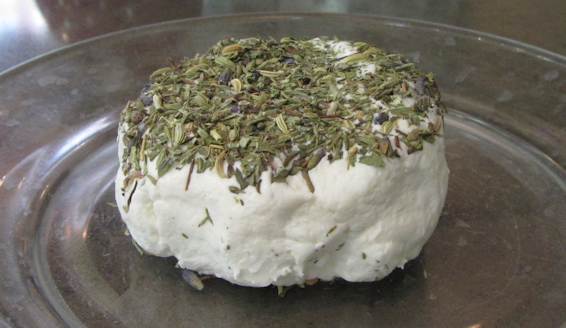 When learning to make cheese at home, start with soft cheeses that require no aging. Before you begin any recipe, always sterilize all tools and equipment to keep cheese from making bacteria and becoming contaminated. You can use the dishwasher to sterilize metal and glass tools, or heat them in boiling water for 10 minutes. Hand wash cheesecloth with dawn and nuke it in the microwave to kill the bacteria. Buy the best quality milk products you can afford. Never use ultra-pasteurized milk because it destroys the protein structure of the milk, making it impossible to use in cheese making. 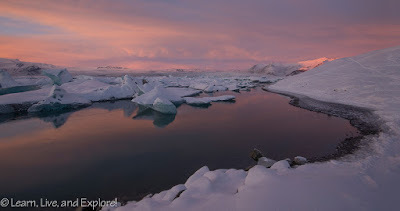 A few degrees of variation in temperature or time can make a huge difference. 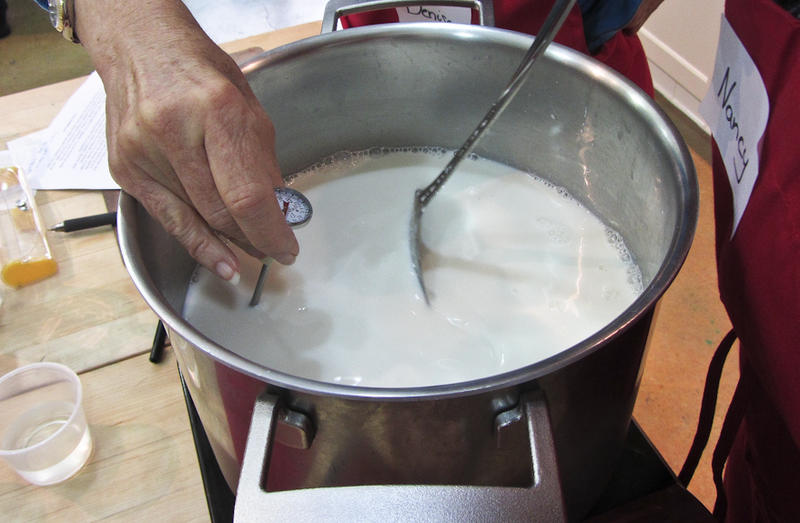 Use a large, heavy-bottomed and high-quality pot for heating milk to keep milk from scorching. 1. Place the cream in a food processor with metal blade. Process the cream until the butter begins to separate from the buttermilk, and the butterfat granules are about half the size of a pea. 2. With the machine running, pour in the ice water. The butter will immediately form a large mass. Quickly turn off the machine. 4. Gather the ends of the cheesecloth together and squeeze, pushing downward to extract as much additional buttermilk as possible, then unwrap the butter solids from the cheesecloth. 5. Place butter solid in a bowl and rinse the butter in a bath of cool water, carefully kneading and folding the mass onto itself with a spatula, pouring off the water and repeating the process as needed until the water stays clear. 6. 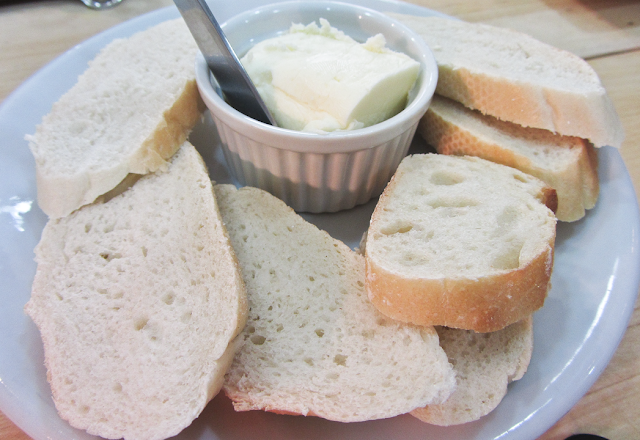 Place the butter into a large dry mixing bowl and sprinkle with the 1/4 tsp of salt. Using a clean spoon or spatula, smear the butter repeatedly against the side of the bowl to incorporate air into it and to thoroughly incorporate the salt, while pouring off any additional liquid the butter may release. 7. Transfer the butter onto a piece of plastic wrap and form it into a smooth-sided block or log. Refrigerate overnight before using.